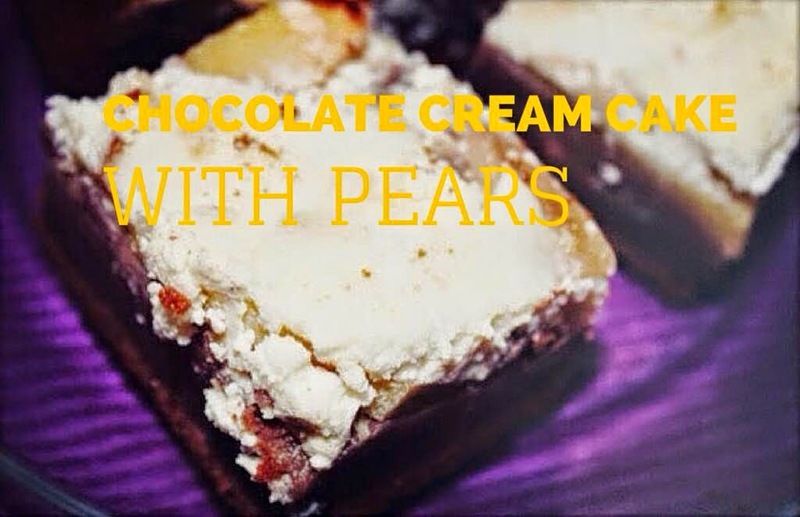 What happens when you mix togetherr chocolate, cream and pears? You get an ideal combination. Today, I share with you one of my autumn recipes. Mix eggs, sugar and oil. Gradually add the flour and milk. Adda pinch of salt, cocoa, cinnamon, ground cloves and rum. At the end, add the curd. Chocolate, broken into pieces, add as the last ingredient. Put the dough into a cake tin. Whip egg whites with half the dose of sugar. In another bowl, mix remaining ingredients and then carefully add the snow from egg whites. Cut pears into thin slices. Mix them with the filling mixture and pour on the dough. Bake at 180 °C for about 50-60 minutes. TIP: This cake is even better after two days. It gets softer.